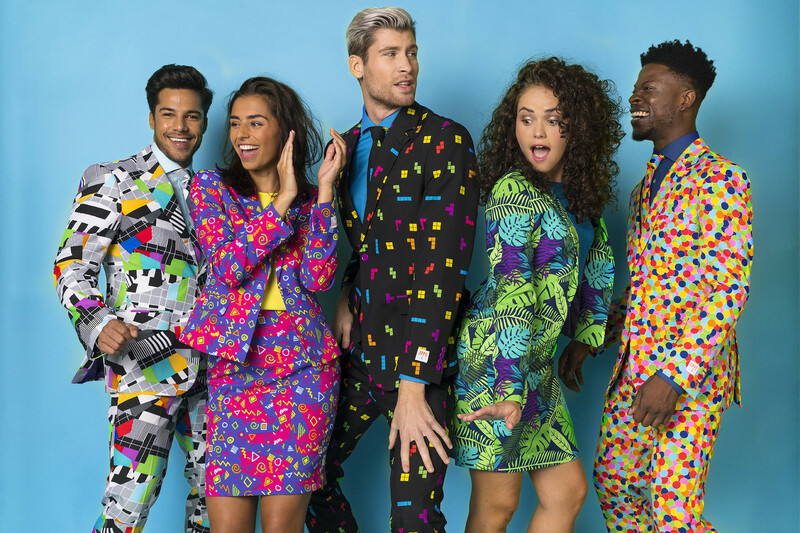 We are OppoSuits. We produce eye-catching attire with fun patterns and colors. The products we design are created for people who don’t take themselves too seriously but still want to maintain a sense of style. It turns out there’s a substantial group of people who like this combination of fun and sophistication. In fact, even celebrities like Tom Hanks, James Corden, Jamie Oliver and Floyd Mayweather Jr. have been spotted in our suits. We operate on a global scale and our products are being sold around the world. We sell them via our own online channels, but our products are also available at local costume stores and famous international retailers like Macy’s, Selfridges and Kohl’s. Besides our own awesome designs we also collaborate with big brands like Marvel, Star Wars and Nintendo to create more exclusive products. We are not here for a long time. We are here for a good time.